The first rain drop! The fresh splash! Poetry burbles. Droplets of words create ripples, all over. Smashing you hard as never did one. The smile on the lips of a flutist. The florist too has a spread. A look at a well arranged bouquet romance springs. Preserved black and white memories, sweeps you off. 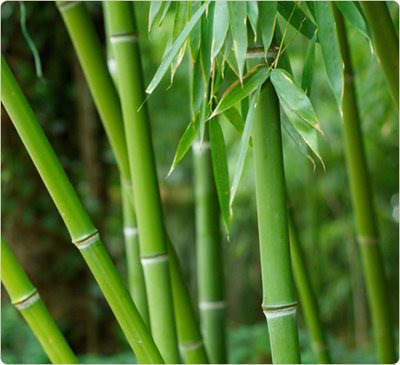 The fragrance of bamboo shoots. Bijou sprinkled. In the silent gaze at your beloved and love, the unwelcome, uncanny romance battens. What am I talking about! Well, I talk of poetry garnished today, but with a different ingredient- Romance. Falling in love, staying in love, stumbling in love, lost in love: desire, pain, hope, happiness a whole bunch of varied flowers spring in your little nursery. Words penned and verses germinate: a poet in you teehee. Serious looks, thoughtful eyes, frequent sighs: tag you as a poet. Romance and poetry have an age old affair. Brought to us in the second half of the eighteenth century, Romanticism emphasized on aesthetic presentation of emotion, it swayed its way through the pages of literary history. Surviving till date with more gusto perhaps even Wordsworth hadn’t dreamt of. Nature poetry was the first face of romance poetry that Wordsworth served to the world through his Lyrical Ballads. Love for the moors, love for divinity, love for music, poetry and human kind. Love for everything and nothing. Romance accompanies you. A subject so simple yet so difficult to compartmentalize with a set definition, has not failed yet to be a theme for starters even at this age. Since ages the subject has kept us focused. It bears us all. We need it the most when backslided in love! Passion and emotion we live with. Often a conflict stirs up our soul. Romance breeds even in that state. Animosity-humanity, love-hatred, war- peace…poetry toddled softly, gently. We just love to float along the line of romance. For God sake hold your tongue, and let me love…-John Donne. Leave me alone and let me waggle wiggle with the wind, the clouds have just dropped down host of stars. The swing made. The dark star-adorned night, the suggestive sea, the au naturel mind, all in kinship. Poetry walks affront. What do I cherish more? The kiss of the dews left me so wanting. Walking back to my hired shelter, verses galloped as zebras. Closer home, Gulzar for that matter leaves for us so many lines to hum, when we are all by our side. Not necessarily shedding a tear or two! Sometimes all the pain collected in the jar of our heart lets us scream out with joy. Ecstatic, some call it; others consider it a stroke of faith. Take it anyways, sip it and you have memories to romance. Poetry never waves good bye. But, the writer is compelled to bid adieu, at least for now. The theme for the May contest was " Holidays" - open to interpretation and we got some good entries this month ! Look forward to your participation in the June contest which will be announced soon ! !